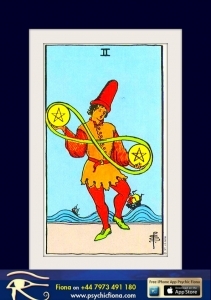 The Two of Pentacles calls us to investigate not only the broader aspects of our life but also the day to day running of our lives. This is a card that shrieks Management at all levels with the focus on change! Being adaptable and flexible to the unexpected obstacles that we will be required to juggle, priorities and management of these issues are key – a time to stay centred and calm as new possibilities, solutions or influences reveal themselves this Month. 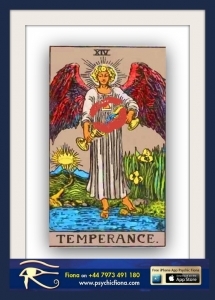 So it’s all about Management … be it time, financial, family, personal or your own energetic riches such as thoughts, actions, deeds and health, all are required to be analysed right now to find the deficits or where the liabilities reside. A final Spring Clean, so to speak to examine where the flaws of your personal fortress leak and lay waste your precious resources (Health, Wellbeing, Time & Money). This is a time of renewal, a time to invest in YOU. A time for a jolly good clear out of mind, body and spirit in order to offer your soul the optimum expression for a more productive and positive outcome. Here it is, that we are propelled into an avenue of reflectiveness in order to establish what or indeed who no longer serves us positively in our life. The universe for the last year 2016, has been gearing us up to all these positive changes, although, it may well be that great difficulties and personal pain has been encountered during this phase. Stay Calm, Stay Centred and Fear Not, for balance and a degree of careful management will be restored and renewed leading you closer to pursuing your broader life goals this month. So now we can catch our breath, steady and calm our senses as we walk headlong with confidence through the Month of January 2017 with a greater sense of stability. Without doubt you may have experienced a somewhat turbulent time but this is when all the major decisions have been made, important milestones reached and perhaps the ending of assignments or projects are insight. The labours of your troubles have laid the corner stone of your future and will shape the year ahead. The completion of a cycle is at hand and the birth of a new phase is dawning and with it an excitement and thrill of a new positive era. Just as Spring indicates the ending of a cold and harsh winter with a promise of summer with its blaze of springtide flowers, the Four of Wands promises the warmth of joy, companionship, success and celebration. 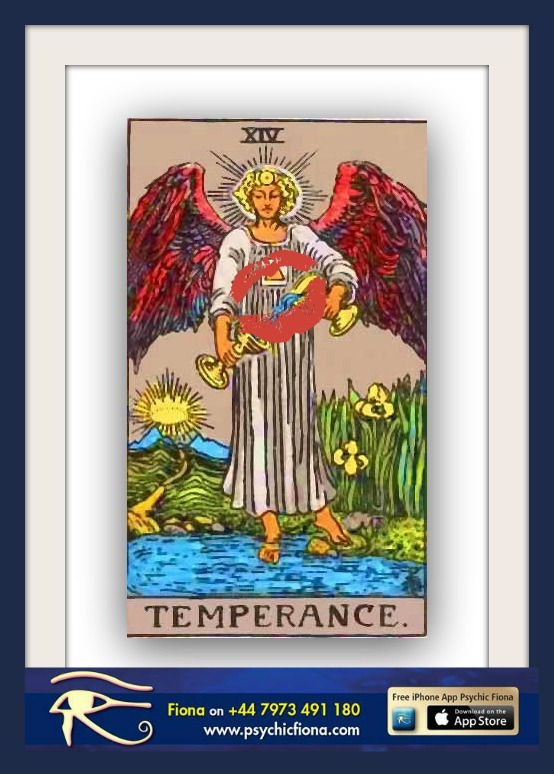 This Card, without doubt is one of the most positive cards in the Tarot Deck and pretty much indicates that better and more fulfilling times are ahead. So this month, celebrate, for this is a time for rejoicing for looking at the future with a renewed sense of vigour, motivation and purpose. 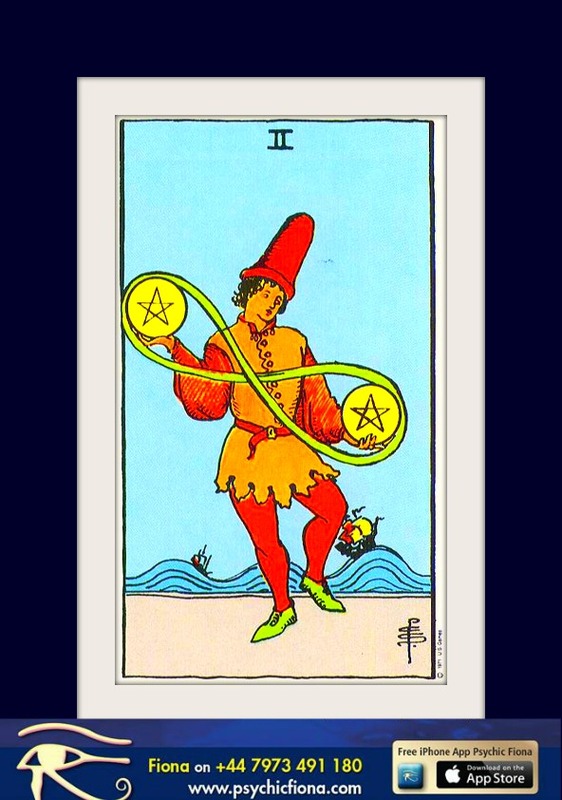 A bit topsy turvey this January we all have been experiencing all sorts of drama, upheavels, and now is the time to put things in order. Out with the old and in with the new. This is a time where perfect balance in mind, body and soul are required in order for your plans, dreams, projects to be actioned. 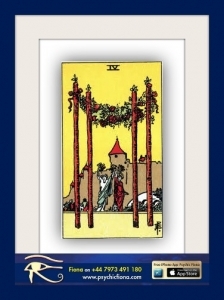 Here it is that your calm resolve will be reflected in all that you do, for it is your healthy respect for balance and harmony in all up and coming situations that will assist you achieving your goals. Here it is that your careful planning can reveal the long-term vision of what you want to achieve. The luxury of taking your time and being patient demonstrates just how far you have come along on this journey, because my friend this is not a phase to be rushed …. Take your time …. You have a real balanced perspective on the situation and you are in a good position to make all the right choices. Take a deep breath …hold …and .. release …. and feel the peace and calm wash over you … You are so ready for the successes that 2017 has in store for you.